Although longer than it needs to be, this is an important body of work. The premise of the book is that major worldwide challenges, such as global warming and income inequality, are profoundly influenced by economics–economic policy–and that our current economic policies (and primary measure–GDP) are failing to address, –no, they are exacerbating–the problems we face. Near the end of the book, Brown offers economic policy prescriptions that CAN positively influence climate and income. But Brown has significant (insurmountable?) hurdles to overcome for her ideas to be embraced. The first hurdle is to get American readers to even read the book. 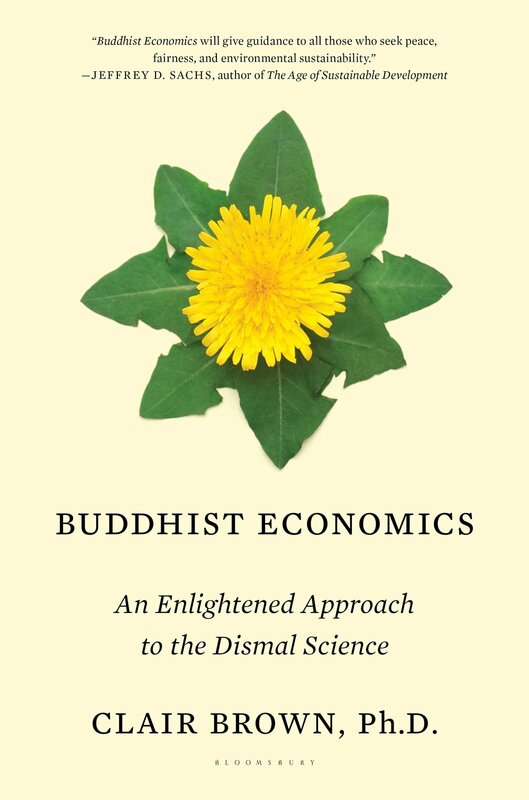 With a title like “Buddhist Economics,” millions will be turned off before they even get to page 1 – i.e., making assumptions about what the book is about based on their perceptions or knowledge of Buddhism, which is likely little, or perhaps nothing at all. The second major hurdle is that many Americans don’t understand basic economics, making this book a difficult read for many. This is the more tragic of the two hurdles. How can we make good decisions about our country, policies, and leadership if we don’t even understand the basic principles of economics? My recommendation for the author (an author?) is to write a “prequel” of sorts on basic economic principals—easy, “digestible” education for “everyman.” It’s gotta be wholly interesting; a page-turner would be even better. Surely this is doable! My second recommendation is to relaunch the book under a new title, not because the current title is bad, but because it is alienating. “Buddhist” is a loaded word and so is “economics.” A title that diffuses, instead of sparks, emotions, bias, and (mis) perceptions, is going to go a lot further to getting American readers to embrace ideas that are worthy of embracing.